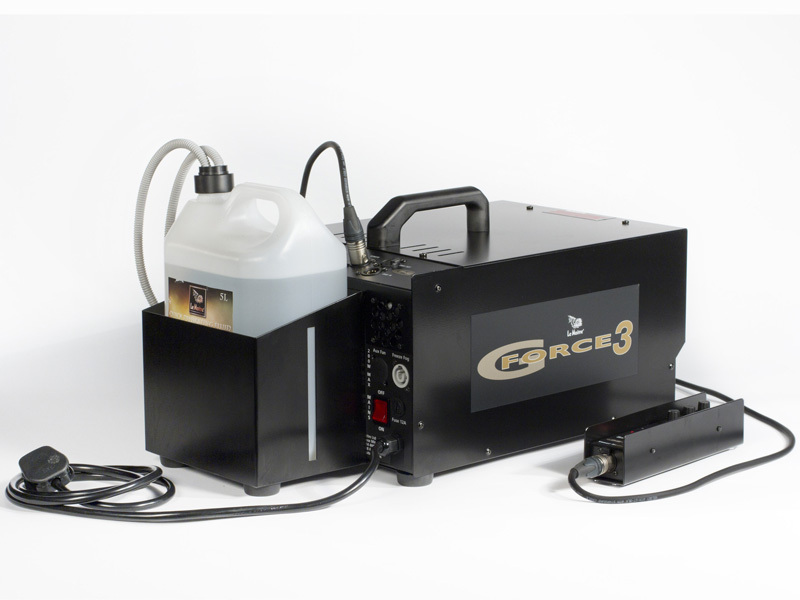 The top end model in Le Maitre’s GForce range of high powered, continuous flow, water based fog machines, based on the core technologies of G300. The most powerful unit in the GForce range with fog output at 51000cbm/hr, It also has inbuilt DMX and settings can be stored for instant recall on power-up. The GForce 3 can connect to Le Maitre’s Freezefog or LSG to produce a spectacular low fog effect. Ideal for use on stage and film, sporting events, theme parks and in fire safety training.